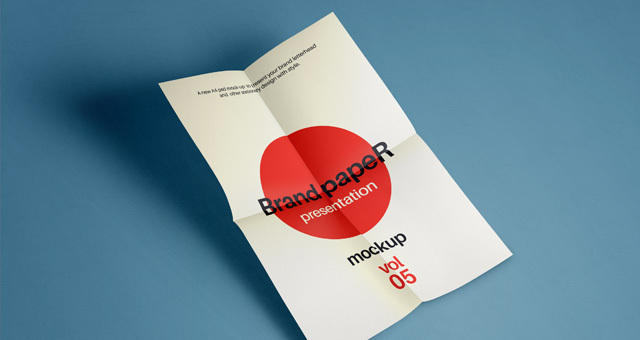 A folded psd A4 paper mockup design to help you display your A4 poster design and other print projects. You get 5 PSD files with this download. Head on over to PixEden to grab it!